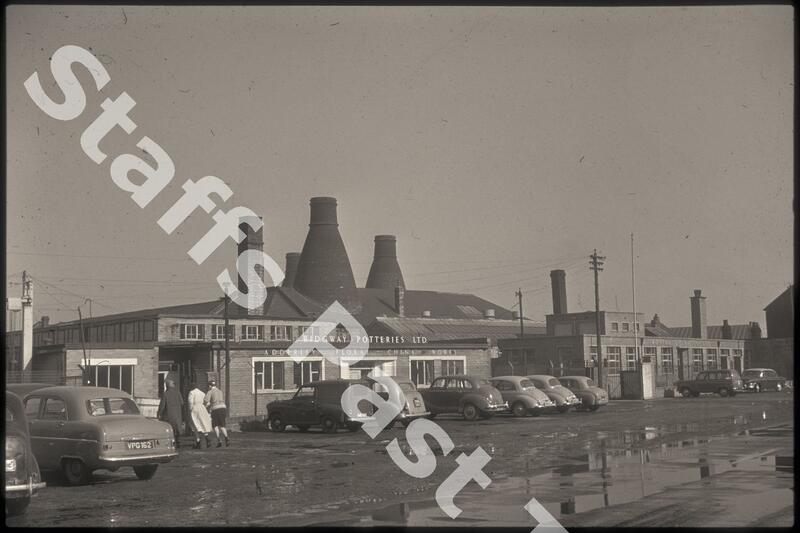 Description:These two potteries were on Sutherland Road in Longton. 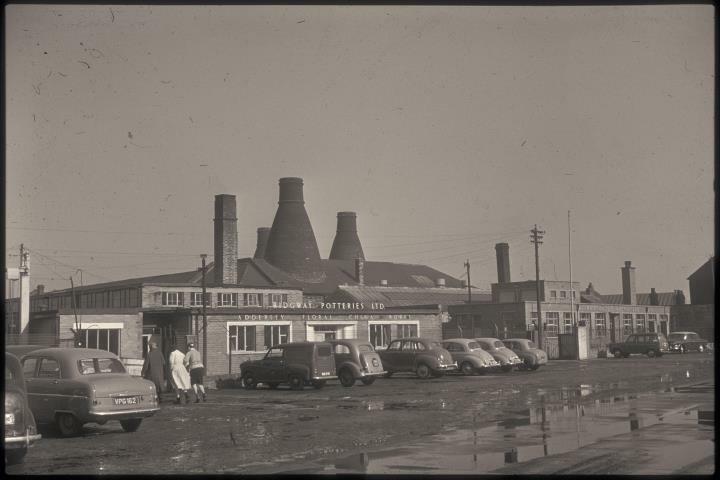 On the left is the Ridgway Potteries Ltd Adderley Floral China Works, the stack ovens of which are visible behind the second works, the Rosina China Co Ltd.
Rosina China works was known as Queen's Pottery from 1941 until closure in 2002. The works continued for a short time under new owners and is still standing in use as a warehouse. Prior to Rosina China, the works was operated by George Warrilow & Sons from 1889 to 1940. Rosina China specialised in bone china tea sets. The neighbouring Adderley Floral China Works operated at the Adderley Works in Sutherland Road from around 1936 until 1988, although they were taken over by Ridgway Potteries in 1947. The company specialised in figurines and fine flower vases and floral bouquets. the works again still stands, divided into business units.